This weekend, NASCAR heads to the Indianapolis Motor Speedway. The 2.5-mile rectangle located in Indianapolis, Indiana welcomes stock car racing. View the full 2018 Indianapolis Motor Speedway tv schedule below. Both the MENCS and the NASCAR Xfinity Series are on the ticket this weekend. 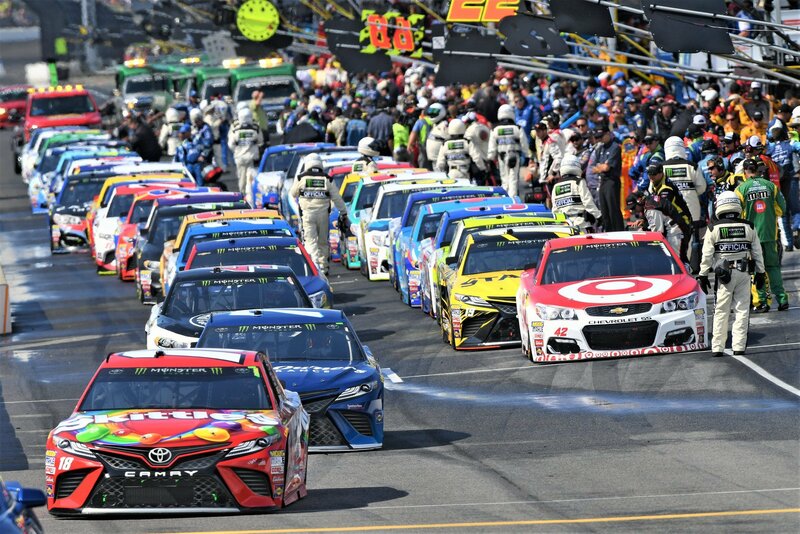 It’s the final race of the regular season for the Monster Energy NASCAR Cup Series. There’s already been a little news come out of the weekend. Kasey Kahne, the defending winner will not be in the car following medical issues. 12:15 p.m.: Ricky Stenhouse Jr.